You are never prepared for a dental emergency, it can arise during odd hours and cause you a lot of pain. A dental emergency not only requires immediate care, but also needs to be treated in a proper way. You obviously would not want the condition of a toothache or inflamed gums to escalate, thus, seeking for dental care would be the right thing to do. The common examples of a dental emergency have been listed in this article. Let’s look into the dental problems and understand why they might need instant care. A tooth mostly gets knocked out due to dental trauma. This can happen while playing a sport. Therefore, you must take all the necessary measures before preparing yourself for the game. Wearing a mouthguard can help prevent dental trauma or else you can lose your tooth if your face gets hit by an object. Seek immediate dental care if you experience something similar. 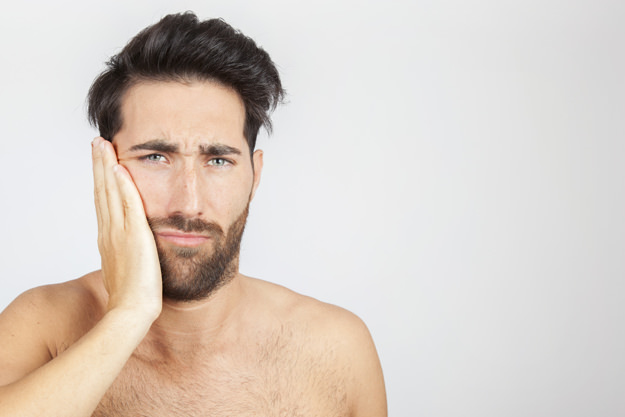 An insufferable toothache can emerge all of a sudden due to cavities or when the decay spreads to the outer layer of the tooth and eventually infects the pulp. And a throbbing pain is certainly one of the most common signs of a dental emergency. You must see your dentist immediately if your gums have become swollen or red. There could also be an instance where your gums might bleed while flossing or brushing. These dental problems can turn into something serious because they are indications of gum disease. Bleeding, inflamed or red gums are signs of gingivitis which happens to be the first stage of gums disease. It can convert into advanced periodontitis (final stage of gum disease) if proper measures are not taken. If you wear conventional braces, the protruding metal wires can irritate your gums and the soft tissues in your mouth. It can also cause injuries which can lead to bleeding. Therefore, it is a viable option and important to consider Invisalign over your traditional braces as they don’t have metal brackets which are visible and are comfortable to wear. Your filling can fall out if there is a decay beneath it. The exposed tooth tissue can become sensitive to anything hot or cold and even air. Thus, getting it fixed immediately would be the right thing to do. Are you looking for an emergency dentist in Cypress, TX? Then call Smile Avenue Family Dentistry today at (832) 648-1756.